Create pastel shades with a creamy, semi-opaque/semi-transparent finish by mixing Titanium White with your favorite watercolor pigments. 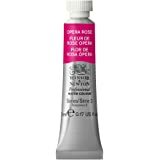 Although not opaque enough for full coverage, this watercolor can be used straight from the tube to add highlights or as a light wash over other colors for a soft veil of light tone. 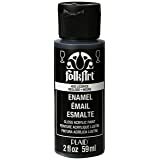 Excellent lightfastness and a smooth finish are hallmarks of this useful pigment. Ships from and sold by my Goods. Second, to offer a selection of truly unique colors. 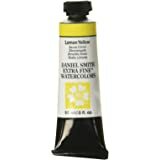 DANIEL SMITH Watercolors are formulated to meet and exceed the highest industry standards​ for the manufacture of artist’s paints, and every batch made is tested and analyzed for its performance qualities. 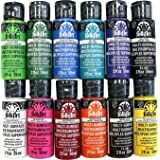 DANIEL SMITH is truly the worldwide leader of watercolors for artists with 240+ beautiful colors in the 15ml watercolors, the most of any manufacturer​. 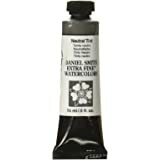 Many are traditional colors relied upon by all artists, and there are many “truly unique” colors made only by DANIEL SMITH that have become so important to watercolor artists. PrimaTek Watercolors are made from minerals, often semi precious minerals, that have been ground into pigments, mixed with gum arabic (the binder) and milled into PrimaTek Watercolors​. 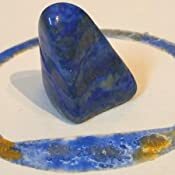 The first was Lapis Lazuli Genuine in 1998, since then, many more have been added such as Amethyst Genuine, Piemontite Genuine and Serpentine Genuine. Most of these colors have wonderful granulating effects that some artists have called “magical”. 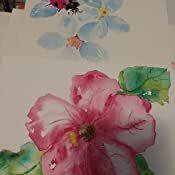 Luminescent Watercolors have special optical effects perfect for subjects that have a sparkle, sheen, or reflective glow​ like the iridescence of hummingbird feathers or the sheen of metals. Cadmium Hues, DANIEL SMITH has developed safe and vibrant Cadmium Hues with the density and richness of cadmium colors without the cadmium pigment​. Virtually identical in color to their namesakes, they are cleaner in mixtures and much stronger in tints. The working properties – staining power, semi-transparency and excellent lightfastness – are nearly identical to those of the low-soluble cadmium colors DANIEL SMITH previously manufactured. Some unique colors are created exclusively by DANIEL SMITH​ like Cascade Green, Green Gold and Moonglow. DANIEL SMITH also finds unusual pigments to make colors like Mayan Red, Lunar Blue and Enviro-Friendly Red Iron Oxide to provide more choices for artists. Other colors are from pigments DANIEL SMITH has sourced, often from very specific locations, colors like Burgundy Yellow Ochre, Monte Amiata Natural Sienna and Roasted French Ochre. DANIEL SMITH Watercolors are a favorite of artists all over the world​, from professional artists to the beginning watercolorists because of the beautiful colors, consistent performance and lasting color or lightfastness. DANIEL SMITH Watercolors are packed with high quality pigments using pure gum arabic as the binder – no fillers.​ For each color, DANIEL SMITH selects the perfect grind to yield particle sizes that maximize the qualities inherent in the pigment, balancing maximum pigment load with minimum vehicle content. DANIEL SMITH offers many ways to experience their Watercolors as well as providing extra creative means for artists with their Watercolor Grounds, Masking Fluid and Walnut Ink. 15ml Watercolors​, available in more than 240 colors, the most of any manufacturer. 5ml Watercolors​, available in 88 of the most popular colors DANIEL SMITH makes. Watercolor Sticks​, 51 popular DANIEL SMITH Watercolors shaped into stick form to draw and paint with, a new way to expressively use watercolors. 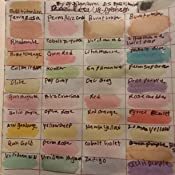 Watercolor Dot Cards, ​a great way to try DANIEL SMITH Watercolors without buying whole tubes of paint. These are dots of pure DANIEL SMITH Watercolors that reactivate into paint with the touch of a wet brush, allowing artists to easily and cost effectively, try many colors. Two sizes: 238 Dot Card to try nearly the entire line of DANIEL SMITH Watercolors and the 66 Dot Card to try many DANIEL SMITH Watercolors. PrimaTek Watercolors, ​37 PrimaTek Watercolors, made from minerals, many semi-precious, that are ground into pigments and made into unique watercolors. Luminescent Watercolors, ​48 Luminescent Watercolors with optical effects. Watercolor Sets​: Essentials Set, PrimaTek Set, Alvaro Castagnet’s Master Set, Primary and Secondary Sets. Watercolor Ground​, Paint watercolors on any surface when prepared with DANIEL SMITH Watercolor Ground, available in 4 colors; Titanium White, Buff Titanium, Mars Black and Transparent. Watercolor Ground can help “rescue” a watercolor painting when applied over a mistake, giving an artist a second chance with a new surface to paint on. 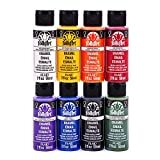 When you choose DANIEL SMITH Watercolors and other DANIEL SMITH products, you are choosing the best materials to create with. DANIEL SMITH products are made in the USA, in Seattle, Washington for artists worldwide. 1.0 out of 5 starsarrived dented with noticable paint missing, no granulation at all and wondering if this is genuine daniel smith paint. 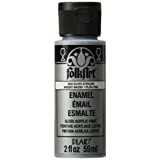 I placed an order yesterday for the primatek sampler and 9 tubes (15 ml) of other daniel smith paint. The buff titanium was sold by THE BT GROUP, the only item on my order sold by that seller. Was surprised and pleased to notice while looking at the tracking that it would arrive today, so that part was great. Inside the box, it was further wrapped in a ziplock baggie. Good sign, I thought. 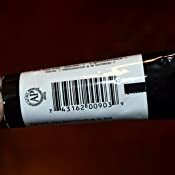 However, the tube itself is dented in several different places, which immediately made me wonder if it had been previously sold and then returned. Even worse, when I opened the cap, there is a noticeable amount missing. If you look into the tube, you can see about an inch deep into the paint tube where the paint (should?) be. 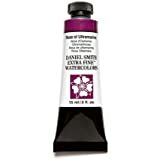 This is my very first daniel smith paint so not sure if they normally pack their tubes like that but considering the price I doubt it. I have bought tubes of mission gold and they were all so full that I had to be careful to keep contents from spilling when opening for the first time. The mission gold tubes tubes had NO empty room for dents even if they were to get smooshed! Further disappointment came when I swatched out the "buff titanium". It looks like cheap taupe gauche, and there's ZERO granulation on the paper -- luscious granulation is supposed to be a hallmark of the daniel smith paints! I have serious concerns regarding the authenticity of this paint But IF this really is genuine daniel smith paint, then it's total crap and not worth the money at all. I have no idea what to do because I've never had a problem before with anything I've ever ordered. I was prepared to buy a TON of daniel smith paint because everybody raves about it but not if it all looks like this. Who knew the cheapest gauche from Holly Lobby was as good as daniel smith?! 5.0 out of 5 starsA great Manganese Blue. I love Manganese Blue. Much more than Cerulean. As one artist friend put it "I'm all about that bright Cyan" and this definitely covers it. 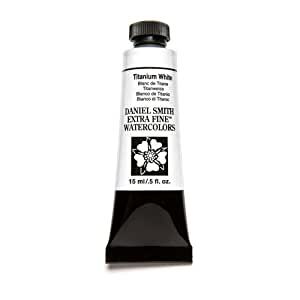 I'm moving over from Winsor & Newton because I don't like the size of those 5ml tubes, so I can pay the same amount for Daniel Smith and get WAY more without having to pay WAY more. It's much more economical this way for the wallet. So once I go through the remainder of my Winsor&Newton, my pallet will be consisting of MGraham and Daniel Smith. 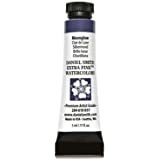 This review is specific to the Daniel Smith Sap Green tube watercolor. Daniel Smith's sap green is different than other manufacturers, rated more permanent, with phthalo blue and quin. gold blend. It is a beautifully natural grayed yellow-green grassy color, and staining, so in blends with burnt sienna, for a more earthy/mossy green, you can lift for texture, leaving the grassy stain .Besides the burnt sienna blend it also makes great shadowy piney greens with something like ultramarine. I don't usually use tube blends, preferring primaries like most people and mixing my own, but this is an exceptionally useful tube green. I LOVE this undersea green color! It's very much like seaweed (having grown up in RI), and a very difficult color to replicate in attempting to mix to an artists' liking. Has gold qualities to it, a rich, deep green. Beautiful color best used on its own. LOVED it so much, I bought another. Any watercolorist would very much enjoy this paint color. I love the New Gamboge color. 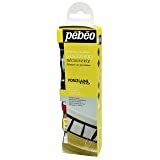 I can use it for many different bases for mixing. ..And the Daniel Smith brand of New Gamboge is quite like the Winsor Newton older version of New Gamboge. The newer formula from Winsor Newton doesn't mix the same way as the older version..Took my art teacher time to discover a brand that was close to the old formula..I know this sounds fussy, but watercolorists get used to particular color mixes and when the company changes their blend, we tend to get confused. This New Gamboge mixes so smoothly, I can make any number of different colors. Should be in any watercolorists paint box! 5.0 out of 5 starsMy favorite line of watercolor paints. And, the Potter's Pink is gorgeous. In general, I love Daniel Smith watercolor paints. At least 80% of my watercolor tubes are from Daniel Smith. That's more than 40 colors, at present. On this last order, I purchased a tube of Potter's Pink and a tube of Lunar Black. I'll mention the lunar black below. As for the Potter's Pink, the color is even more beautiful than I expected. It's a soft, dusty pink that mixes beautifully with all of the quinacridone colors that I have (and I have all but 1 maybe 2), along with every blue, red and purple that I've tried. I also especially love it mixed with Daniel Smith's hansa yellow medium, quin pink/magenta and opera pink (a color that is fugitive, but excellent for reproduction work to be scanned or photographed). Next on my list are some more of Daniel Smith's exceptional range of aqua/teal colors. I have Daniel Smith tubes in colors that range the spectrum, including a couple of Primatek gemstone-derived pigments and a tube of iridescent white that creates gorgeous, shimmering pastels in mixes and looks stunning on its own. 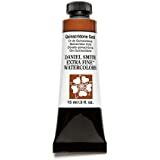 Side note: Since Daniel Smith watercolor paints do not use Ox Gall or honey, the only colors containing animal byproducts are the few containing the PBk9 pigment (ivory black, Payne's grey and a couple of others). This makes most of the line's extensive range of colors suitable for vegan artists. Yay! So far, I've been incredibly happy with all of the colors that I have used, with the exception of the lunar black that I purchased as part of this latest order. Unfortunately, the gum arabic was separated from the pigment and oozed out of the tube upon opening. It was impossible to remix it in the tube, so I added some of the paint to an empty watercolor pan, did my best to mix it and allowed it to dry. Once dried in the pan, the lunar black became fairly usable. This is the only color I've ever received from Daniel Smith that was separated, although it has happened with a few colors from other lines, including Da Vinci (with a tube of ultramarine purple) and Holbein (can't recall the color). Unfortunately, gum arabic sometimes separates from the pigment in a tube that's been on the shelf for a while, but once the color is placed into a pan and allowed to dry, there's very little effect on the performance.